The rightwing forces won the general elections that took place in Norway on 9th September. The Conservative Party (H) chaired by former Local Affairs and Regional Development Minister (2001-2005), Erna Solberg won 26.8% of the vote and 48 seats (+ 18 in comparison with the previous elections on 14th September 2009). The Progress Party (FrP) a populist party led by Siv Jensen won 16.4% of the vote and 29 seats (-12). The Christian Democratic Party (KrF), led by Knut Arild Hareide won 5.6% of the vote and 10 seats (=); the Liberal Party (V) chaired by Trine Skei Grande won 5% of the vote and 9 seats (+ 7). Together the rightwing won 54% of the vote and 96 of the 169 seats in the Storting the only chamber of parliament. The Labour Party (DNA), led by outgoing Prime Minister Jens Stoltenberg who can be pleased at having retained its position as the country's leading party won 30.8% of the vote and 55 seats (-9). The Centre Party (Sp), a member of the outgoing government coalition, led by Local Affairs Minister Liv Signe Navarsete won 5.5% of the vote and 10 seats (-1) and the Socialist Left Party (SV) also a member of the outgoing government coalition chaired by Childcare, Equality and Social Integration Minister Audun Lysbakken won 4.1% of the vote and 7 seats (-4). The last seat went to the Green Party (MDG) which won 2.8% of the vote. Turnout totalled 71.4% i.e. -5 points in comparison with the general election that took place on 14th September 2009. The leader of the Conservative Party Erna Solberg qualified the rightwing result as "an historic electoral victory" and promised to "give Norway a new government". "Voters have given us a mandate to implement a new policy: better schools, better roads and better competitiveness so that Norway can maintain its Welfare State," she declared. "It is an historic result. For the first time in 24 years Norway will have a Conservative Prime Minister," indicated Jan Tore Sanner, chair of the conservative group in the Storting. During the electoral campaign Erna Solberg repeated that she wanted to form a government with the four rightwing parties. She will therefore start negotiations with the Progress Party, the Christian Democratic Party and the Liberal Party. Both of the latter do not seem prepared however to accept an alliance with the Progress Party. Trine Skei Grande (V) and Knut Arild Hareide (KrF) even warned against a government formed with the Conservative Party and the Progress Party alone in the daily Dagsavisen. Both parties put forward a list of 15 measures they wanted to see introduce in the event of a rightwing victory and said that the Progress Party was against 11 of the 15 measures (the refusal to drill for hydrocarbons on the (protected) islands of Loftoen, Vesteraalen and Senja, the introduction of taxation in support of the environment and a more human asylum policy amongst others). Erna Solberg could lead a minority government with just the Progress Party, which is a frequent situation in Norway whose parliament is specific - unique in Europe - in that it cannot be dissolved. This government could enjoy the parliamentary support of the Liberal and the Christian Democratic Parties. The Conservatives have promised reductions in taxes and the privatisation of certain public services. Erna Solberg's party disagrees with Siv Jensen over the 4% rule (handlingsregelen) which bans the government in office from using more than 4% per year of the value of the country's sovereign funds, which are the wealthiest in the world (around €550 billion) The populists are suggesting greater use of the country's reserves to invest in infrastructures. Political analysts believe however that both rightwing parties should come to agreement on a more flexible interpretation of the 4% rule. The future government will be a unique coalition in Norway's history. The probable accession to office by the Progress Party is a deceptive victory for the populists. Indeed the party recorded a clear regression in comparison with the elections of September 2009 (-12 seats) dropping from second to third place and now the Conservatives have pulled ahead of them. Their result does not reveal a breakthrough for populism as such but rather the desire for change on the part of the Norwegians. "The Progress Party has become respectable," stresses Bernt Aardal, a political expert at the University of Oslo. "To date the Progress Party was never able to govern because it was isolated. No one wanted to form a coalition with it. But its leader Siv Jensen has made some concessions by insisting less for example on its anti-immigration positions. The Conservatives know that their leader will become Prime Minister. They have more influence and are ready to work with this moderate far right," indicates Johannes Berg of the Social Research Institute of Oslo. "In the 1990's the Progress Party caused a scandal when it asked for a calculation of the cost of immigration believing that the Welfare State was suffering because of it. This is no longer shocking and an official committee was asked to make the calculation. On this point at least the party won the day," indicates Kristin Clemet, manager of the think-tank Civita. Indeed during the electoral campaign all of the political parties promoted the need to introduce a more "responsible" immigration policy. "Nearly no one has succeeded in winning the general elections three times in a row. We can say that it was too hard," declared outgoing Prime Minister Jens Stoltenberg who acknowledged his defeat when the results were announced. The Labour Party clearly fell victim to an erosion of power after eight years as head of the country, a record in terms of longevity in Norway. "Few people criticise the policy undertaken by Labour because the economy is doing well. But the Norwegians just want a change," maintains Johannes Berg. "The wave of sympathy that Labour enjoyed after the attacks on 22nd July 2011 has fallen flat. Even if the economic indicators are good the electorate are tired of their government, in office for the last eight years. They want new faces, a slightly different policy," analyses Bernt Aardal. "The attacks of 22nd July 2001 by Anders Behring Breivik were almost absent from the electoral campaign that was mainly focused on social issues, health, education, taxation and transport. The 22nd July 2011 is fading from our memory. We live with it but we want to move on. It was important to return to normal so that Anders Behring Breivik, could not rejoice at being at the heart of the campaign from the depths of his prison cell," repeated the political analyst. Erna Solberg will therefore be the next Prime Minister of Norway. In 2013 when Oslo will be celebrating the 100th anniversary of women's vote - she will be the second woman to undertake this function after Gro Harlem Brundtland (DNA), nicknamed the Mother of the Nation, Prime Minister from 1981 à 1989 then from 1990 to 1996. Aged 52 Erna Solberg was born in Bergen and is a graduate of political science and economy from the university in that town. Elected to the Storting in 1989 she became the Local Affairs and Regional Development Minister in 2001 in the government led by Kjell Magne Bondevik (2001-2005). Nicknamed Jern-Erna (Iron Erna), this admirer of German Chancellor Merkel ("Angela Merkel is a talented woman, a model," declared Erna Solberg) has modernised the party she has led since 2004. "Erna Solberg has transformed the Conservative Party which was used to an extremely ideological discourse focused on the financial markets. 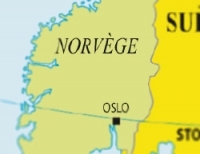 She has turned the party shaped by the Oslo elite into a movement that is focused on the west of Norway where most of the country's industry is concentrated," indicates political analyst Frithjof Jacobsen. Erna Solberg has said that education, the improvement of access to healthcare and investment in infrastructures would comprise her government's priorities.